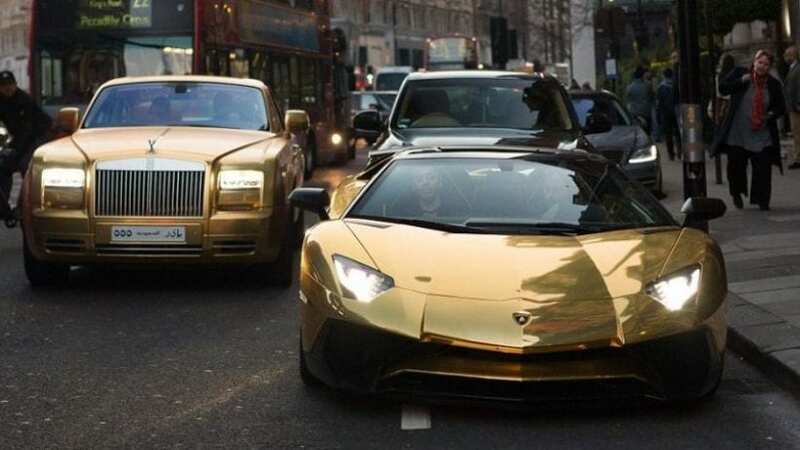 A tourist from Saudi Arabia brought his entire golden car fleet to London. This billionaire businessman obviously didn’t want to rent a limo upon arrival. And now, he is seen with heaps of golden cars around London. How much do his cars cost? The entire fleet is estimated to over $1.5 million, which is more than what most people earn in their lifetime. Even though London is a safe city, driving around in golden cars can be dangerous. Yet again, nobody would dare to touch any of those vehicles. 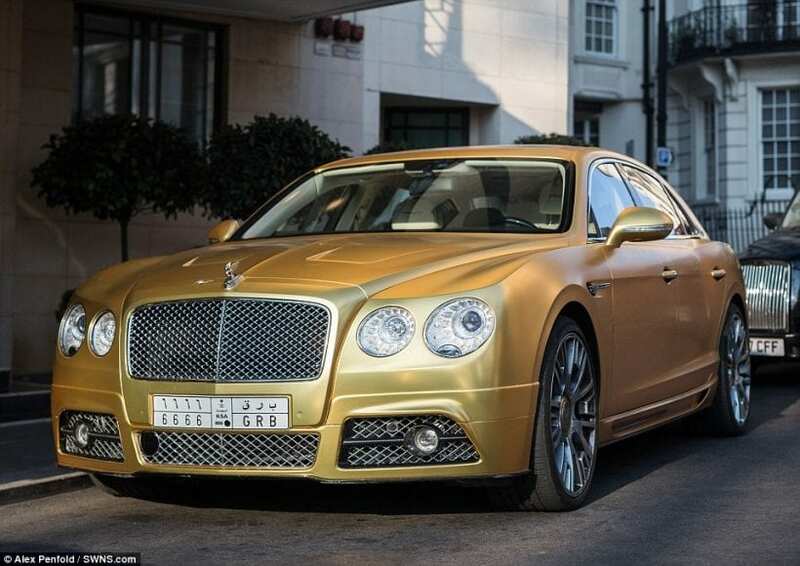 The businessman was driving around London in his Mansory Bentley Flying Spur. Just like the other cars, this model is golden as well. The billionaire stopped at popular designer stores and Harrods.